+Sophisticated Millionaire 80/3 is one of the most recognized red Brahman foundation sires that has defined the Brahman breed. 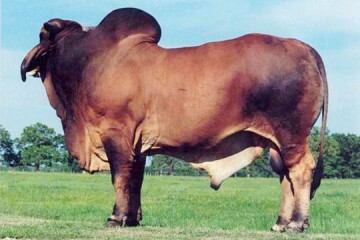 He is a bull you will like for his exceptional frame, length of body, correctness, bone and elevation. 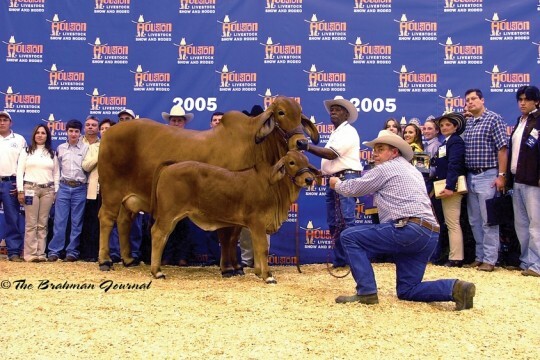 Genetics 80/3’s dominated the Brahman show ring with hundreds of champions across the globe. His progeny have earned him the right to be called a breed leader. His daughters are impressive in terms of femininity, fertility, and angularity. He has produced a line-up of champions in the United States and internationally. 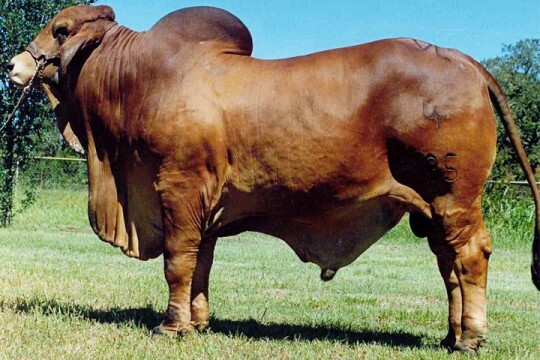 He has produces as many, if not more, show champions than any other red Brahman, including many national and international grand, and get-of-sire championships. +Sophisticated Millionaire 80/3 has produced 9 Register of Renown progeny and is currently the #4 bull in the Register of Renown and the #1 ranking red Brahman sire of all time. +Sophisticated Millionaire 80/3 should be used on medium frame females that have muscle. You can count on him to add bone and size, along with the maternal traits of femininity, fertility, mothering and milking ability.